A fun memory game with dinosaurs. Put all the dino eggs randomly on the table so you can’t see the dinosaurs. 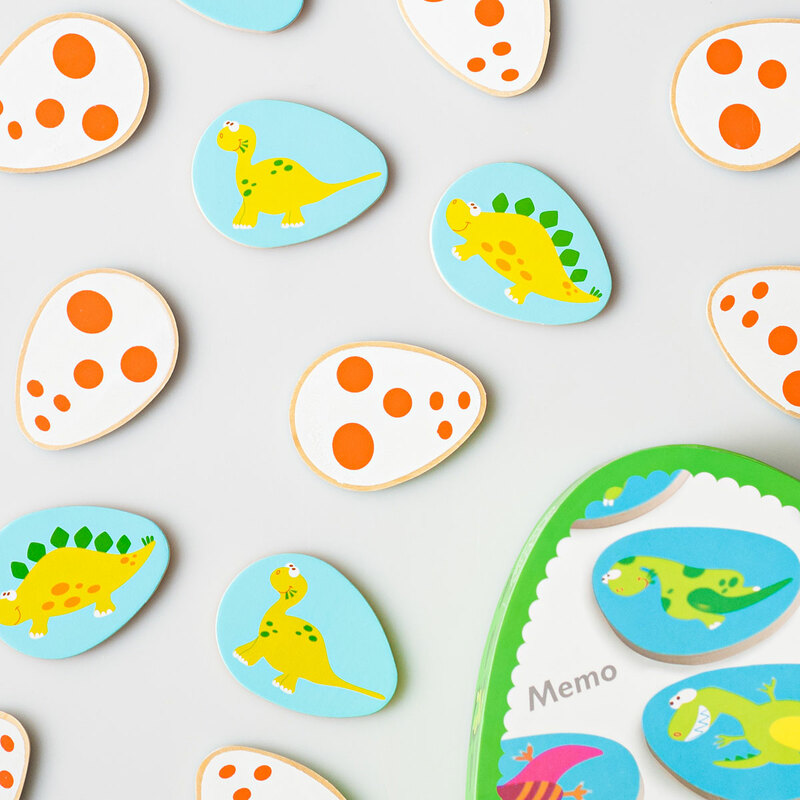 As quickly as possible uncover which eggs have the same dinosaurs in them. The player who has the highest pile of eggs at the end of the game is the winner. The game can be played by two to six players. 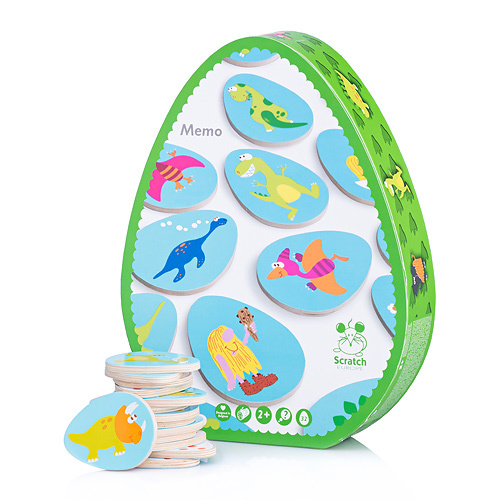 Playing Memo trains children’s short-term memory while enjoying playtime with Mom or Dad.